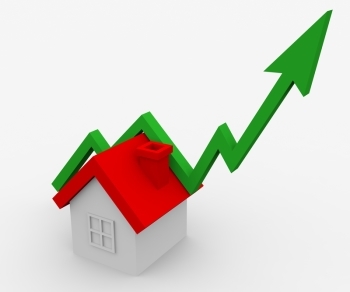 Government valuer Quotable Value (QV) recorded a reduction in annual house price growth, from 9.3 percent in February to 8.8 percent in March. This figure is down from the 10 percent peak of December 2013, and comes on the back of new loan-to-value lending restrictions put in place by the Reserve Bank. While the early impact of these new lending limits was muted, the market has now experienced four consecutive months of decreasing house price growth. Average residential property prices are also down around the country, dropping slightly from $468,484 in February to $466,665 in March. However, prices are still rising consistently in the Auckland market, now at $699,659 compared with $695,499 in February, $695,215 in January, and $693,549 in December. Unlike the rest of the country, Auckland also recorded positive house price growth, up from 14 percent in February to 14.3 percent in March. According to QV's national spokesperson, Andrea Rush, LVR speed limits and the anticipation of further interest rate hikes are contributing to the easing conditions: "Home loan approvals nationwide are also down about 10% on the same time last year; overall sales volumes are similarly down and the amount of activity from first home buyers around the country is also well down on what it was prior to the LVR speed limits being applied in October." Despite these figures, however, property prices are expected to take off again sooner rather than later. According to financial data firm Infometrics, while a slowdown is likely this year due to LVR changes and interest rate moves, 14 percent house price inflation is expected in 2015-16. Published in the Crockers Market Research Crystal Ball 2014 Issue, data from Infometrics is used to "look ahead and predict how things are likely to be." "Infometrics expects nationwide house price inflation to peak at 14% in 2015/16, with higher interest rates eventually sufficient to restrict both the housing market and more general economic activity... Some reversal in prices is possible in 2017 and 2018 as economic growth slows and the undersupply of housing in Auckland and Canterbury is resolved." According to Infometrics, the temporary easing of property prices will not be felt in the vibrant Auckland and Christchurch markets, where prices will "continue to rise relatively rapidly" and house sales are likely to rise from 80,000 to 100,000 by the end of next year. The demand for rental accommodation is also likely to rise, due to LVR restrictions, strong population growth, and a rapidly expanding economy. While conditions remain tight for many first home buyers, the recent drop in house price growth may enable some borrowers to get into the market before the next price surge. According to Infometrics, the same LVR restrictions that are keeping some first home buyers out of the market are also creating opportunities for investors: "With fewer first home buyers in the market to bid up prices, investors have a greater chance of of obtaining property at the lower end of the market at a reasonable and economically viable price."